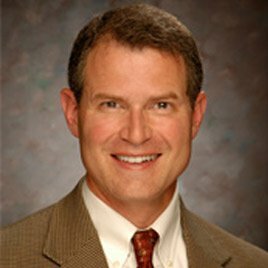 Dr. Richard Johnston, chairman of the Division of Orthopedic Surgery at Missouri Baptist Medical Center, completed his medical degree at Vanderbilt University School of Medicine in 1985 and an orthopedic residency at Washington University School of Medicine in 1990. He specializes in total joint replacement of the hip and knee, as well as sports medicine. He has extensive experience in minimally invasive joint replacement and arthroscopic procedures and can provide Oxford partial knee replacements and patella-femoral joint replacement as an alternative to full knee replacement.